VSECU is committed to helping members make smart investments in their homes and communities. 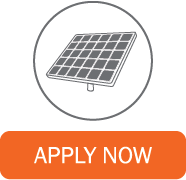 We’ve teamed up with Power Guru to offer VGreen financing to maximize your solar investment savings. Contact the Power Guru team to get started.